All Woolwich Township homes currently listed for sale in Woolwich Township as of 04/22/2019 are shown below. You can change the search criteria at any time by pressing the 'Change Search' button below. If you have any questions or you would like more information about any Woolwich Township homes for sale or other Woolwich Township real estate, please contact us and one of our knowledgeable Woolwich Township REALTORS® would be pleased to assist you. "This elegantly appointed EXECUTIVE home located in the highly desirable Nature's Walk Community in Woolwich Twp. boasts many updated features. You will be greeted by double doors that open into a grand 2 story foyer featuring newly installed wide plank hardwood floors throughout most of the 1st floor, an oak staircase with painted risers, wrought iron spindles and 2 coat closets. The newly renovated eat-in kitchen is every chef's dream including White and Sarsaparilla cabinetry, Statuary Classique Quartz counter tops and back splash, GE stainless steel appliances, 5 burner stove, island with built-in microwave and pendant lighting open into the 2 story family room featuring a fireplace and a wall of windows. . The formal dining room with shadow boxing, chair rail, crown and neck molding creates a wonderful backdrop for entertaining your guests especially for the fanciest of parties. The formal living room is the perfect place to relax and enjoy your quiet time. The MEDIA room is a great way to catch up on Netflix episodes. The Solarium provides an amazing space for a music or meditation room. The 2nd floor features a massive Master Bedroom retreat with 2 sided fireplace, raised ceiling, 2 walk-in closets, large storage closet, sitting room and exercise area. Bedroom 2 features a walk-in closet and full bath. Bedrooms 3 & 4 feature sitting rooms,walk -in closets, and a princess bath with a double bowl vanity. The 1st floor offers a Den and full bath providing an opportunity for an in-law suite or an au pair suite. All of this plus a 3 car garage and a full walk out basement. Located the highly regarded Kingsway Regional top rated School District. A minute away from historical downtown Swedesboro. Easy access to the Philadelphia International Airport, NJ Turnpike, 295,322, Commodore Barry and Delaware Memorial Bridges." 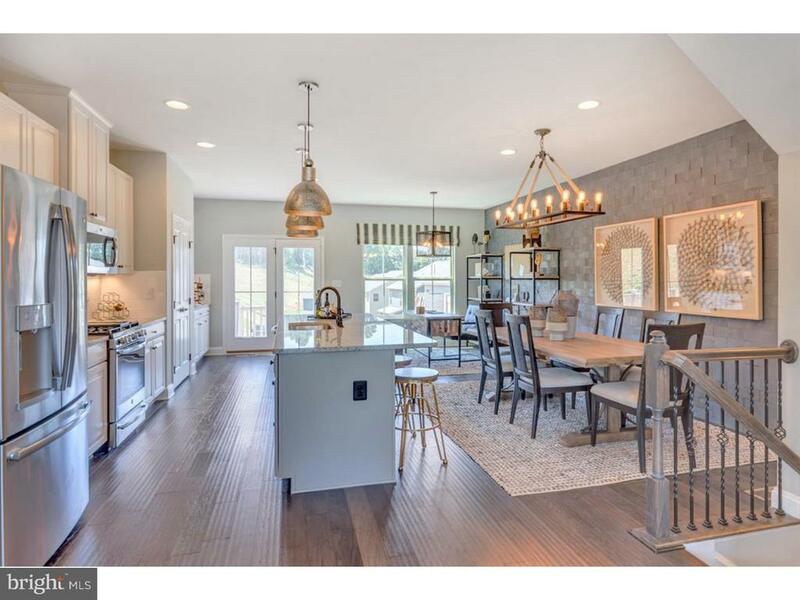 "Don't miss out on this former model home with over $188,000 in model home upgrades, located on a quiet 1.5 acre cul-de-sac location in The Preserve at Oldman's Creek. This Elegant brick front Estate style home will just WOW you with all the custom upgrades that are just too long to list. Step inside the Grand 2 story entry foyer w/imported tile flooring & wood stairs to the 2nd floor. The adjoining library features French doors, custom built cherry book cases with fluted columns & crown molding. The open formal Living & Dining rooms are highlighted by the beautiful Eterna mahogany hardwood flooring, Custom trim and room dividing columns. The gourmet Kitchen and Breakfast room features 42 cherry cabinetry w/a honey finish w/mocha glaze. The huge custom designed center island w/granite top is a perfect spot to entertain your holiday gatherings. This area also features Oscar DiMeudon imported tile flooring, upgraded stainless steel appliances, skylights, and high hat accent lighting. The Fm room features dramatic vaulted ceiling, Brazilian cherry floor, wet bar w/granite top, French doors to the large rear deck which is perfect to host those Summertime BBQ's. This room also features a gas log fireplace with a custom mantle & marble facing. Perfect spot to snuggle up to on those cold Winter days. The 1st floor also features an upgraded Powder room and a convenient Laundry just off the side entry 3 car Garage. The front and rear stairs lead to the 2nd floor 4 Bedrooms and 3 full Baths. The main Bedroom suite is to die for from it's double French door entry, 10 ft. high ceilings, Brazilian cherry floor, spacious sitting room, 2 walk-in closets and a 2 sided gas fireplace into the most spectacular private 16x16 Bathroom. This luxurious private bath is highlighted by the vaulted ceiling w/chandelier, heated tile flooring, 2 separate upgraded vanity & sink bases, double tiled shower w/frameless glass enclosure, private water closet area w/pocket door and a Jacuzzi tub with j"
"Welcome to Woolwich Township?.one of South Jersey's best-kept secrets! Situated on over 5 ACRES on a PREMIUM lot. Cathedral entryway with circular staircase and WIDE PLANK HARDWOOD FLOORING welcomes you into this 4-bedroom, 3.5 bath extended and provincial elevation Stoneleigh model with Jack and Jill bathroom and morning room in the desirable community of Summer Hill. Gourmet Kitchen featuring a large center island with seating and storage, 42 cabinets, TWO DISHWASHERS, pantry, Corian countertops, and GORGEOUS Morning Room with wall to wall windows, views of the tree-lined yard, stream, private lot, and STUNNING SUNSETS! Extended Great Room with SOARING cathedral ceilings, a wall of windows, second staircase, and marble surround gas fireplace with mantel. Office/Study provides a private area for a work from home career. Master suite features tray ceiling, sitting room with gas fireplace, and LARGE walk-in closet with a window. The en-suite master bathroom features double sink vanity, soaking tub, glass stall shower, and water closet. The second and third bedroom includes a Jack and Jill Bathroom while the princess suite has a private bathroom. All the bedrooms have LARGE closet space. Additional upgrades include UPGRADED SEPTIC, NEW HOT WATER HEATER (2017), UPGRADED recessed lighting package, walk up attic, attic fan, dual zone HVAC, irrigation system (13 zones) 3 car garage, and WALK OUT DAYLIGHT basement at 9' height with special beams to eliminate some of the columns with 10 full-size windows and sliding patio door (designed to be finished for your choice of functions or uses at over 2,000 additional square feet). Electrical Sub-Panel is located in the basement and makes upgrades a breeze. Woolwich Township is only minutes away from Philadelphia International Airport, New Castle DE Airport, DE tax-free shopping, Route 295, Route 322, and the NJ Turnpike. Excellent schools and great location!!" "Quick Delivery Juniper 1 Elevation currently in permit phase. Home to be built is on 1 acre private lot backing to woods. Impressive floorplan featuring 4 bedrooms 3.5 bathrooms & 3 Piece Plumbing Rough-In for future bathroom. Home features Jack-N-Jill Bathroom, 4th bedroom with Privae Bath and owner's suite with sitting area and 2 story vaulted ceiling in family room. 2 Car Side-Entry Garage and Full 9 high basement. Still time to choose your interior options, finishes, and exterior colors. Other Junipers available to walk through." "Quick Delivery New Construction Home currently being built. Estimated Delivery time 60-90 dayss. Need a main floor full bathroom? This home has 3 full bathrooms, two upstairs, and a full bathroom on the main floor. Study is next to the full main floor bathroom and could easily be used as a guest area. Large Open Concept Kitchen with large gathering room make this home an entertainers dream. As you enter the foyer, you are greeted by a beautiful Double T Style staircase with Oak Treads and Painted Pine Risers. The home also includes a large Study, Den, Dining Room and features a volume tray ceiling in the gathering room with a gas fireplace that his flanked by 4 large windows. The upstairs features a beautiful Owner's Suite with extra large WIC and Owner's Bath and 3 more large bedrooms with plenty of closet space. The home features hard wood floors throughout the main level. Upgrades like granite counter tops in the kitchen and level 3 maple ivory cabinets with soft close feature are included in the price. Master bathroom has also been upgraded with beautiful ceramic tile, granite, and extra height cabinets with drawer bank with painted maple ivory cabinets. The laundry room is massive with plenty of storage for shoes, coats and book bags. 9 foot ceilings in the basement. 3166 SF of luxury,1 acre home site backing to woods and 10 year warranty. This is an unbelievable opportunity that won't last long!" "New Construction will be completed in 60-90 days. The Elm features a unique open concept floor plan with large Kitchen featuring breakfast room and gathering room This Elm is estimated for completion in 4-5 months. The home features an Elevation 2 with front Porch and Stone accents. As you enter the grand foyer, the staircase features oak treads and painted pine risers. The Conservatory has many windows and is bright and large for extra entertaining space or home office. Large Dining Room, Living Room, and main floor laundry complete the main floor. A large Owner's Bedroom with en suite bathroom with large shower and tub & large WIC are a dream come true. 3 more bedrooms with plenty of closet space complete the 2nd floor. The home has many upgraded features including gas fireplace, hardwood floors in the foyer, powder room , kitchen, & breakfast area. Kitchen includes Granite and level 3 Maple Ivory Cabinets with soft close and SS Kitchen Appliances and the master bathroom is upgraded as well with granite, extra high vanity with drawer bank, and beautiful ceramic tile. 2 car side entry garage, 2 Zone HVAC, Oversized 1+ acre home site, 10 year warranty make this home a great opportunity. Home won't last long!" "Everything you have been searching for is waiting for you in this Home. From the inviting front porch to the elegant foyer. Spacious living, and dining room with a bay window. Office/Study behind 15-light double doors perfect for working at home or homework area. Hardwood flooring in the foyer and study. Dream kitchen with double oven, gas cook top, and a spacious island with seating for four. Good sized breakfast area adjacent to the family room equipped with a gas fireplace for cozy times. Wait until you see the huge pavered patio accessed from the sliding doors from the kitchen. Plenty of area for outdoor entertainment. On to the second level with a magnificent main bedroom suite. The bathroom includes jets in the tub, frame-less shower enclosure and two individual vanities. The main bedroom is enhanced with a sitting area that includes a gas fireplace. One of the additional three bedrooms has a full bath perfect for a guest, Prince or Princess Suite. All bedrooms are a nice size. This is definitely a home to seriously consider as your very own." "Wonderful contemporary located in an exclusive one of a kind custom home development. Quality in construction and loaded with features such as Andersen windows, cedar siding with Italian stone, custom designer paints, murals and tiles. 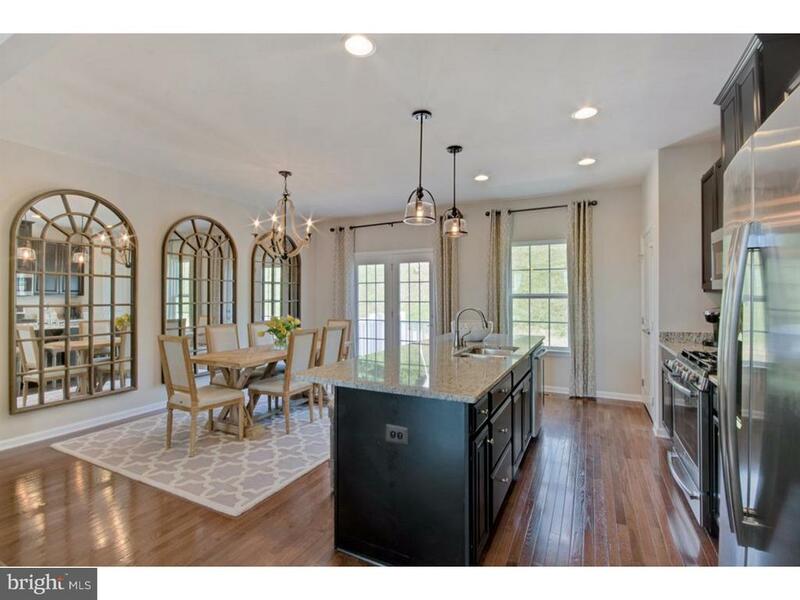 Kitchen offers custom cabinets, hardwood flooring, wood ceiling, custom up lighting too! The breakfast room overlooks a superior 2 acre home site that is surrounded by woods! Wonderful rear yard with beautiful in ground pool, cedar deck and pavers, convenient outdoor shower and a basketball court! Sunken Living room with vaulted ceiling, designer carpet, granite and oak fireplace. Family room with built-in wine cooler and wet bar! The master retreat is boasting with 4 walk-in closets (2 cedar)offering a nice loft style with Jacuzzi! Finished basement is great for parties and billiards! Front & back sprinkler system. Garage heat/AC, garage door openers. Security system. This fabulous home is a perfect location in a small executive style cul-de-sac community. 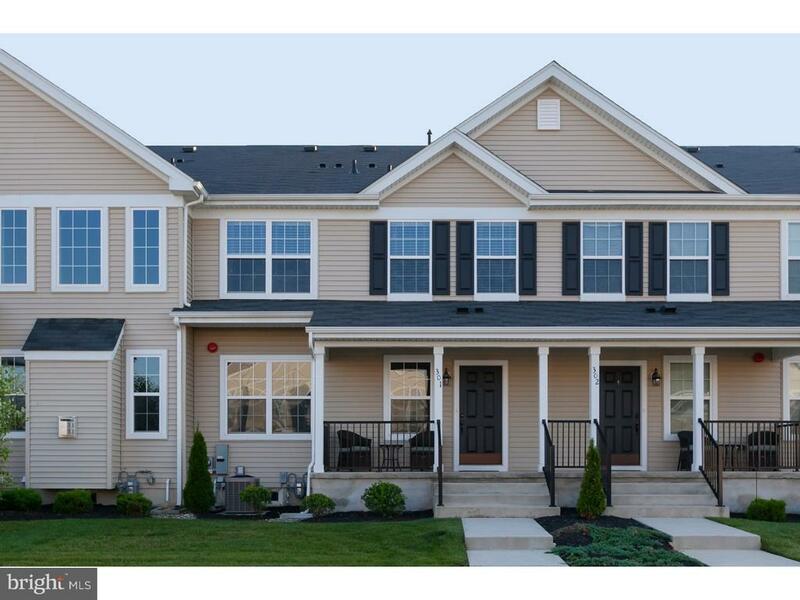 New central AC Sept. 2018 Woolwich Township is only minutes away from Philadelphia International Airport, New Castle DE Airport, DE tax-free shopping, Route 295, Route 322, and the NJ Turnpike. Excellent schools and great location!!" "Don't wait! 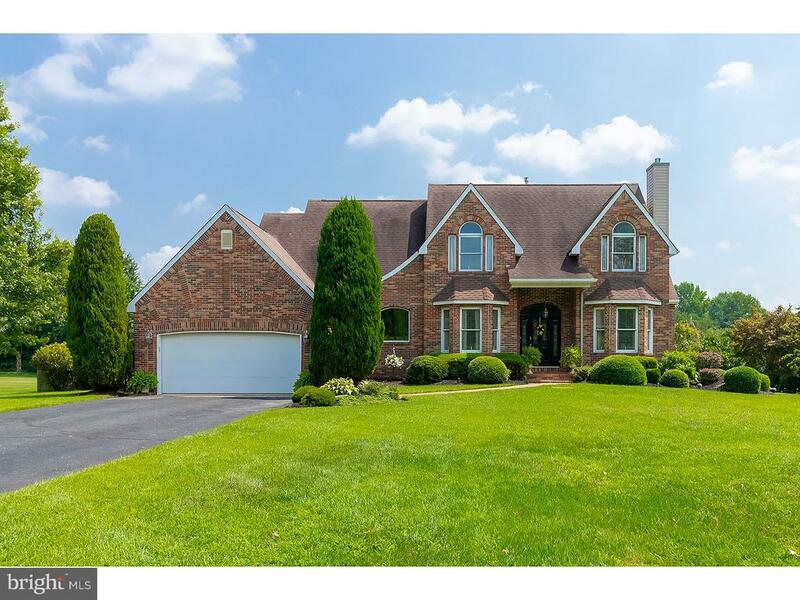 Beautiful 2-story colonial in the desirable Meadow Woods community in Woolwich Twp. This property is situated on a 1.25 acre lot that is well-landscaped and boasts a brick front plus a 2-car attached garage. First floor features a traditional layout but with many unique features. 9 foot ceilings and open foyer with hardwood flooring, a formal dining room and an eat in kitchen. Kitchen is affixed with Corian counters, ceramic tile back splash and newer ceramic tile flooring. Off the kitchen is a powder room and laundry room/mud room. The kitchen opens up to the large family room that is complete with a natural gas fireplace that has marble surround, wood mantel and equipped with surround sound. Rounding out the first floor is the living room with a 2nd natural gas fireplace. There is also a deck off of the living room with 2 ceiling fans. The second floor features 4 nice-sized bedrooms and 2 full baths. A true master suite with a 3rd natural gas fireplace, plus vaulted ceilings and a walk in closet. The master bath has a both a whirl-pool tub and shower stall. Second floor has a Jack and Jill bathroom. 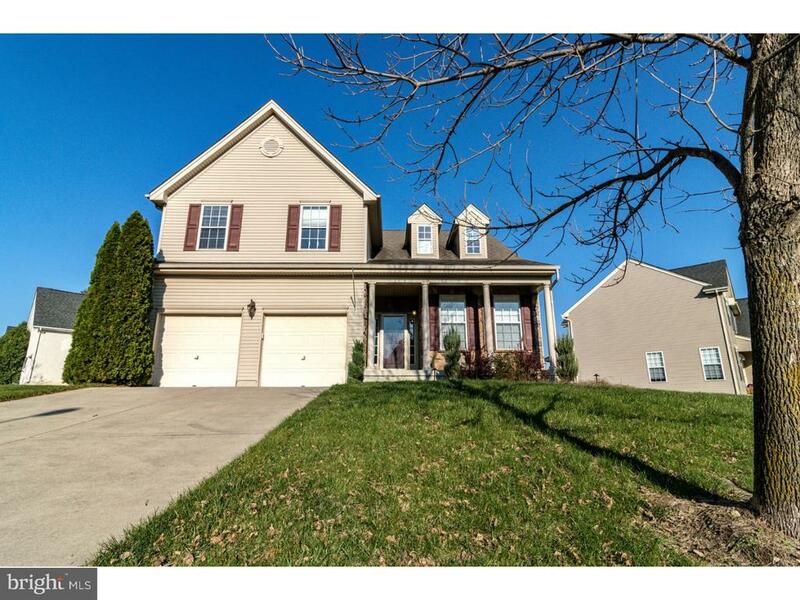 This home is complete with full basement that has high ceilings and plenty of storage. Lovely yard also has 6 zoned sprinkler system. Tour this home and make it yours before it's too late!" "Welcome to an amzing opportunity to never lift a finger again. No more shoveling, no more mowing grass, no more trimming trees. This is luxury living at its finest in Woolrich. All main living on one floor: two large bedrooms off a full bathroom close to the utility room, large familyroom, sun room living room, and an ample size master suite with walk in closet and Jacuzzi tub, double sink, and tons of cabinet space! Recess lighting, great functional kitchen, ample closet space, storage in the familyroom, this place has it all. Great storage space in the garage overhead space. Close to shopping, public transit, golfcourses, and more. Schedule your appointment today!" "Come and see this young and spacious open concept single family home in the desirable neighborhood of Westbrook at Weather. The open Kitchen/Family/Dining area has a great flow and features beautiful hardwood floors throughout with lots of natural light pouring in through the windows. This spacious area has high vaulted ceilings, recessed lighting and a gas fireplace to stay cozy this winter. The unfinished basement leaves plenty of room for storage and the ability to finish it off and add more living space. The master bedroom features cathedral ceilings, a large walk-in closet and a master bath with a deep soaking tub. Upstairs also offers two more spacious bedrooms and another full bathroom. Step outside your sunroom, enjoy an evening around the fire pit and relax or entertain on your beautiful patio. Complete with a 2 car garage to handle all of your storage needs. The neighborhood is extremely friendly and has easy access to Delaware, Philadelphia & all major shore points. Seller is offering a $3,000 credit towards interior painting with acceptable offer." "Qualified buyers will receive $20,000 in options and up to $8,000 in closing cost on this new construction townhome in the desirable Lexington Mews community offers an open kitchen with 42 cabinets, granite counter tops, island with pendant lights above and Whirlpool stainless steel appliances. The Family room features a raised ceiling with recessed lights and window seat . Large dining room and Living Room with window seat. 5 hand-scraped hardwood in foyer. Ceramic tile in master, hall baths and powder room. The Master bedroom features a raised ceiling with recessed lights, paddle fan outlet and 2 closets. The deluxe Master bathroom features a soaking tub, separate 4' tiled shower and double bowl vanity. Still time to pick selections. Hurry this one won't last long. 2, 3 and 4 bedroom models from $180's. 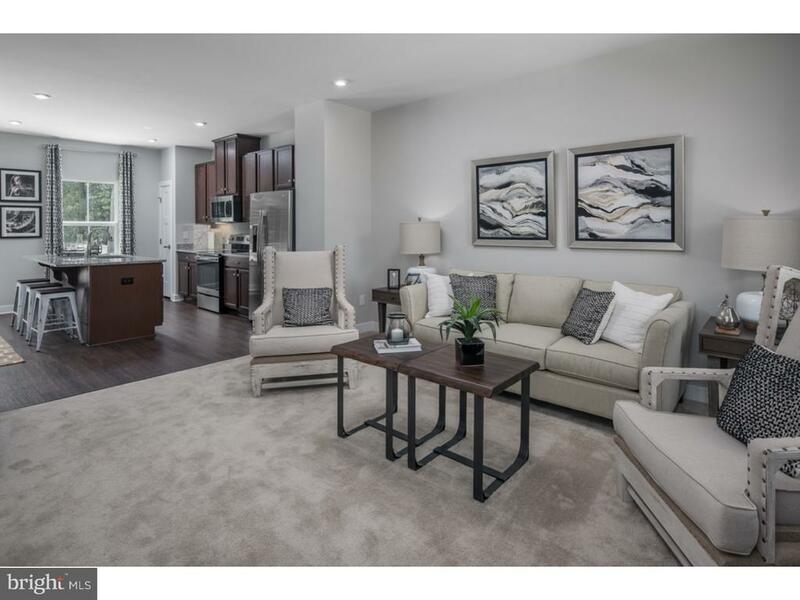 Pictures are of our Concord Model open daily 11am- 5pm. 0% down USDA financing available to qualified buyers. FHA,VA and USDA approved. Must Sign an agreement of sale on or before December 31, 2018." "Pepper Farm Towns by Ryan Homes is open and offering New Construction 3 story townhomes starting from the low 200's with garages! Located in sought after Woolwich Township, just minutes from historic Swedesboro, Route 295 and the NJ Turnpike, this location is a commuters dream. The Strauss has 3 bedrooms, 2 full baths, and a 1 car garage. The kitchen comes with an over sized gourmet island, recessed lights, 42 cabinets, and GE appliance package. The owners bedroom has a large walk in closet, tray ceiling, and private bathroom with double bowl vanities, walk in shower and separate soaking tub. For more information please call our sales office today to schedule your appointment. Don't forget to ask about our closing cost assistance through NVR Mortgage. *Agents warmly welcomed and must accompany client on first visit." "Qualified buyers will receive $20,000 in options and up to $8,000 in closing costs. This new construction townhome in the desirable Lexington Mews community offers an open kitchen with 42 cabinets, granite counter tops, island with pendant lights above and Whirlpool stainless steel appliances. The Family room features a raised ceiling with recessed lights and window seat . Large dining room and Living Room with window seat. 5 hand-scraped hardwood in foyer. Ceramic tile in master, hall baths and powder room. The Master bedroom features a raised ceiling with recessed lights, paddle fan outlet, & 2 closets. The Deluxe Master bathroom features a soaking tub with separate tiled shower and double bowl vanity. Large patio off the kitchen. There is still time to pick your selections. Hurry this one won't last long. 2, 3 and 4 bedroom models from $180's. Pictures are of our Concord Model open daily 11am- 5pm. 0% down USDA financing available to qualified buyers. FHA,VA and USDA approved. Must sign an agreement of sale on or before December 31, 2018." "Pepper Farm Towns by Ryan Homes is open and offering New Construction 3 story townhomes starting from the low 200's with garages! Located in sought after Woolwich Township, just minutes from historic Swedesboro, Route 295 and the NJ Turnpike, this location is a commuters dream. The Mozart has 3 bedrooms, 2 full baths, and a 1 car garage. The kitchen comes with an over sized gourmet island, recessed lights, 42 cabinets, and GE appliance package. The owners bedroom has a large walk in closet, tray ceiling, and private bathroom with double bowl vanities and walk in shower. For more information please call our sales office today to schedule your appointment. Don't forget to ask about our closing cost assistance through NVR Mortgage. *Agents warmly welcomed and must accompany client on first visit." "Pepper Farm Towns by Ryan Homes offers New Construction 3 story townhomes starting from the lower 200's with garages! Located in sought after Woolwich Township, just minutes from historic Swedesboro, Route 295 and the NJ Turnpike, this location is a commuters dream. The Beethoven has 3 bedrooms, 2 full baths, and a 1 car garage. The kitchen comes with an over sized gourmet island, recessed lights, 42 cabinets, and GE appliance package. The owners bedroom has a large walk in closet, private bath, and tray ceiling. For more information please call our sales office today to schedule your appointment. Don't forget to ask about our closing cost assistance through NVR Mortgage. *Agents warmly welcomed and must accompany client on first visit." 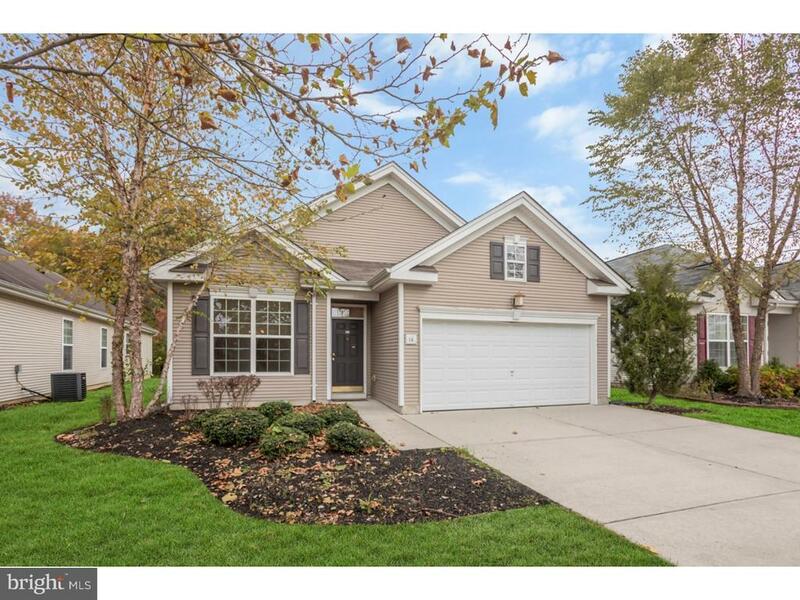 "Qualified buyers will receive $20,000 towards options and up to $8,000 in closing costs on this Bedford model. Pre-construction townhomes from $181,990 in the desirable Lexington Mews community. The 2 bedroom, 2.5 bath Bedford model is an interior unit with large front porch. The open floor plan offers a foyer,living room, formal dining room, eat in kitchen featuring an 8' island with granite counter tops, stainless steel Whirlpool appliances, recessed lighting and 2 walk in pantries. The Master bedroom features 2 closets, a walk-in & standard closet. The Master bathroom features a ceramic tiled 5' shower. All the baths include 12 x 12 tile on the floors. 5 handscraped hardwood in the foyer. The 2nd floor laundry provides a great convenience. The 2nd bedroom is a nice size. 2, 3 and 4 bedroom townhomes are available in the c ommunity. *Pictures are of our decorated Models open daily from 11am- 5pm. Easy access to 295, 322, and NJ Turnpike. USDA 100% financing available to qualified buyers.USDA, VA and FHA approved financing." "Pre-construction townhomes from $181,990 in the desirable Lexington Mews community. The 2 bedroom, 2.5 bath Bedford model is an interior unit with large front porch. The open floor plan offers a foyer,living room, formal dining room, eat in kitchen featuring an 8' island with granite counter tops, stainless steel Whirlpool appliances, recessed lighting and 2 walk in pantries. The Master bedroom features 2 closets, a walk-in & standard closet. The Master bathroom features a ceramic tiled 5' shower. All the baths include 12 x 12 tile on the floors. 5 handscraped hardwood in the foyer. The 2nd floor laundry provides a great convenience. The 2nd bedroom is a nice size. 2, 3 and 4 bedroom townhomes are available in the c ommunity. *Pictures are of our decorated Models open daily from 11am- 5pm. Easy access to 295, 322, and NJ Turnpike. *$5,000 towards closing costs. USDA 100% financing available to qualified buyers.USDA, VA and FHA approved financing. Ask about our Summer Sales Event going on NOW util July 31st."